iOS 6.0.1 Final (Build 9B206) Firmware and iOS 6.1 Beta (Build 10B5095f) Firmware has been officially released from Apple for general public worldwide for iPhone 5, iPhone 4S, iPhone 3GS, iPad 4, iPad 3, iPad 2, iPad Mini, iPod 5G Touch and iPod 4G Touch devices so if you have recently updated or upgraded your iOS Device Firmware from old iOS 6 Firmware to the latest iOS 6.0.1 Final or iOS 6.1 Beta Firmware than you will be pleased to know that iPhone dev-team have introduced the working method to Unlock and Jailbreak iOS 6.0.1 Firmware and iOS 6.1 Beta Firmware for Pre-A5 iPhone 4, iPhone 3GS and iPod 4G Touch devices by using RedSn0w Tool. The latest version of Redsn0w 0.9.15b3 has been officially released from developers but it doesn't include support for iOS 6 Firmware but still we can point at the already supported iOS 6 Firmware and can also successfully Unlock and Jailbreak iOS 6.0.1 and iOS 6.1 Beta Firmware On Pre-A5 iPhone 4, iPhone 3GS and iPod 4G Touch Devices. Apple A4 or Pre-A5 iPhone and iPod device users need to know that this is a Tethered Jailbreak of iOS 6.0.1 and iOS 6.1 Beta which is only compatible with iPhone 4, iPhone 3GS and iPod 4G Touch devices, as of now there is no iOS 6.0.1 and iOS 6.1 Beta Jailbreak available for A5, A5X, A6 or A6X Running devices including iPad Mini, iPad 4, iPad 3, iPad 2, iPhone 5, iPhone 4S, and iPod 5G Touch, so those devices user better stay away from this tutorial. iPhone Dev-teams is working quite hard to introduce Untethered Jailbreak for iOS 6.0.1 and iOS 6.1 Beta Firmware On iPhone, iPad and iPod Touch devices. The latest Redsn0w 0.9.15b3 Tool will not only Unlock and Jailbreak iOS 6.0.1 Firmware and iOS 6.1 Beta Firmware but will also Install Cydia On Jailbroken iOS 6.0.1 and iOS 6.1 Beta Firmware Running On Pre-A5 iPhone 4, iPhone 3GS and iPod 4G Touch Devices. So let’s start the Tutorial and Guide to Unlock and Tethered Jailbreak iOS 6.0.1 Final and iOS 6.1 Beta Firmware and Install Cydia On Pre-A5 iPhone 4, iPhone 3GS and iPod 4G Touch Devices with Redsn0w 0.9.15b3 Tool available for Windows and Mac Operating Systems. 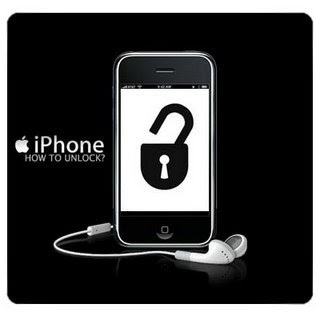 How to Unlock and Jailbreak iOS 6.0.1 & iOS 6.1 Beta Firmware On iPhone & iPod Touch with RedSn0w 0.9.15b3? Download the above mentioned software requirements on your PC's or Laptops and then follow the simple steps in following Tutorial and Guide to Unlock and Tethered Jailbreak iOS 6.0.1 Final and iOS 6.1 Beta Firmware and Install Cydia On Pre-A5 iPhone 4, iPhone 3GS and iPod 4G Touch Devices with Redsn0w 0.9.15b3 Tool. Hold down power button and home button both at the same time for 10 sec. After 10 seconds release the power button and still pressing on the home button for another 10 sec. You're connected! Step 2: Open and Run RedSn0w Tool, and then click Extras > Select IPSW, and select iOS 6.0 IPSW Firmware for your idevice. It should successfully identify the iOS 6.0 firmware, and then click Back. Step 3: Click Jailbreak on the home page of RedSn0w Tool, then once its finished loading, ensure Install Cydia is marked and then click Next. Step 4: The iOS Jailbreak process will start itself, and it will take a bit to finish. Keep RedSn0w open; Once it finished and begin on your iDevice, you should be at your Lock screen. Close out of RedSn0w. Step 5: Now again Put the device back into DFU Mode, and reopen RedSn0w Tool. Go to Extras > Select IPSW, and again point to the iOS 6.0 IPSW Firmware. Step 6: Once your iDevice succesfully identifies by Redsn0w, Click Just Boot button. A Tethered boot will be performed, and you will end up back on your Lock screen with a pineapple logo. Unlock the device, and you should see Cydia Icon installed on the second page of your iDevice Home Screen. Congratulations! !, You have successfully Jailbreak iOS 6.0.1 and iOS 6.1 Beta Firmware and Installed Cydia On iPhone 4, iPhone 3GS and iPod 4G Touch devices. Instruction: Since it’s a Tethered Jailbreak of iOS 6.1 and iOS 6.1 Beta Firmware, you will always need to reboot your device into tethered mode in order to run Cydia and other Jailbreak related Applications. If your idevice loses power connection, you can simply connect your idevice to your Laptop, PC or Mac and again start Redsn0w Tool than Navigate to Extras and then Click to Just Boot option to boot into Tethered Jailbreak Mode again. Enjoy! !